Our car charging devices are called CarPlug and are customized for your vehicle and mobile devices. No longer will you have to be irritated by an empty battery when on the motorway or on-route to an important appointment. 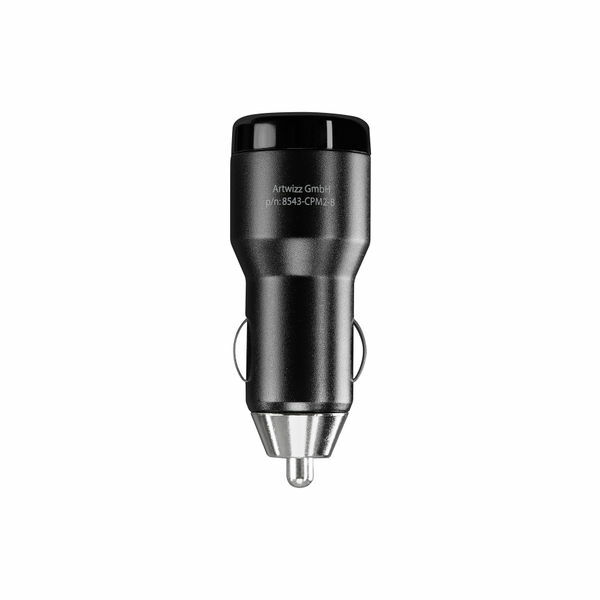 Our car charging device turns a cigarette lighter in the car into a practical USB electricity source. Smartphones, Tablets, navigation systems as well as many other technical devices can be easily charged with this car charging device. 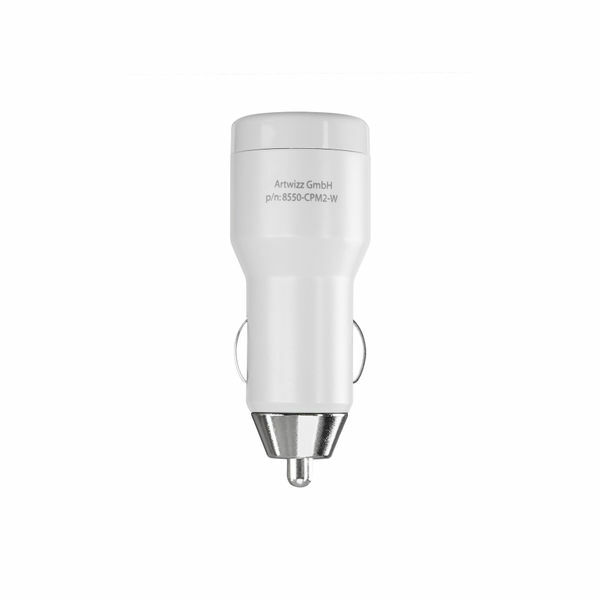 The compact design makes this USB car charger into a useful, but inconspicuous companion, which virtually merges with the interior design of your car and completes it by adding the missing charging station. The stable construction causes a long shelf life, while the interplay of glossy and matt downtube housing gives it a unique look. With the Artwizz CarPlug USB-C you can charge even the latest generation of mobile devices from the comfort of your car. The charger supplies an output voltage of 3 amperes at 15 watts, which, if your smartphone or tablet supports it, allows for super fast charging. And the charger’s modern titan-black design elegantly coordinates with your car’s interior. With the Artwizz CarPlug USB-C 18W Pro, you will always have the benefit of efficient Qualcomm® Quick Charge™ technology while you’re driving. 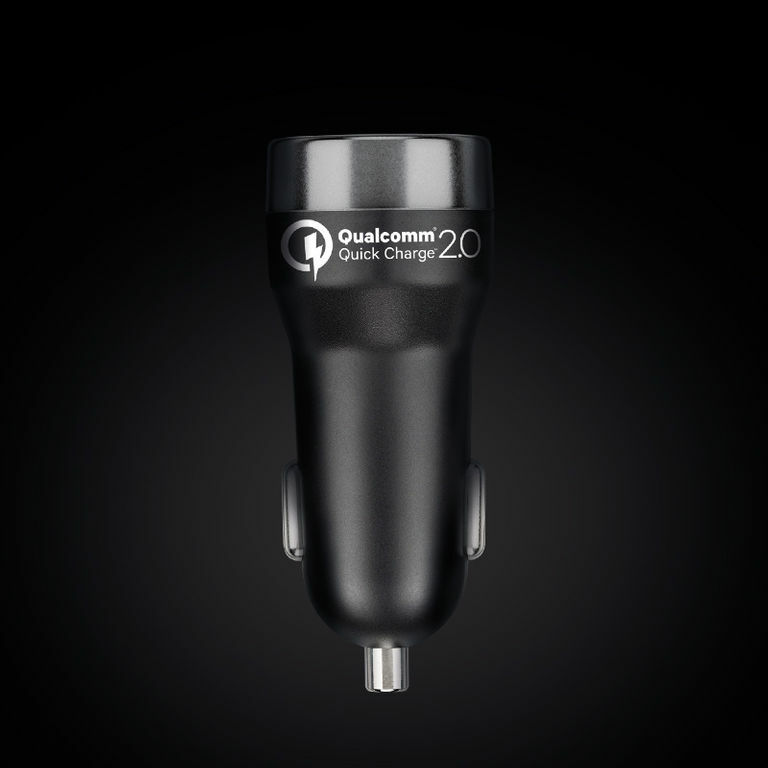 Our most powerful CarPlug charges QuickCharge-compatible USB-C smartphones and tablets up to 70% faster. A charging current of 3 amps or 18 watts provides your USB-C mobile devices enough power, even on the move. 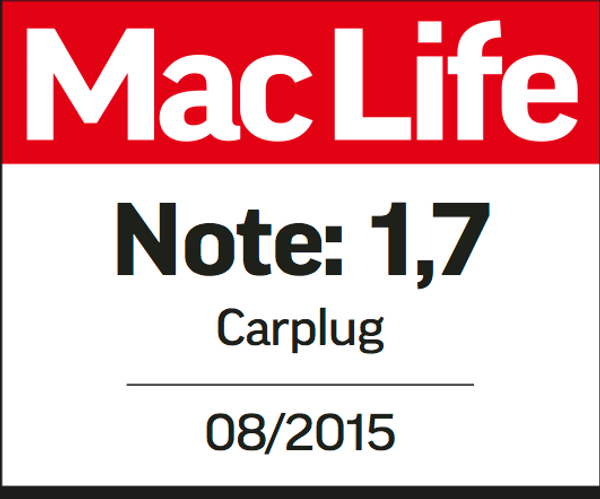 Our CarPlug USB-C 18W Pro is available in elegant titanium black. 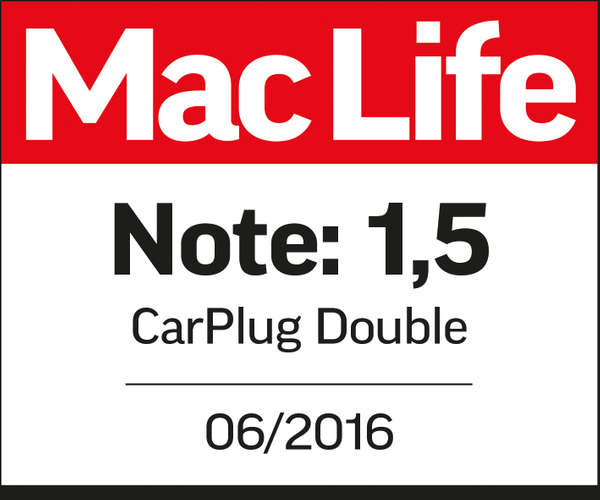 Charge two devices at the same time in the car: with the CarPlug Double. 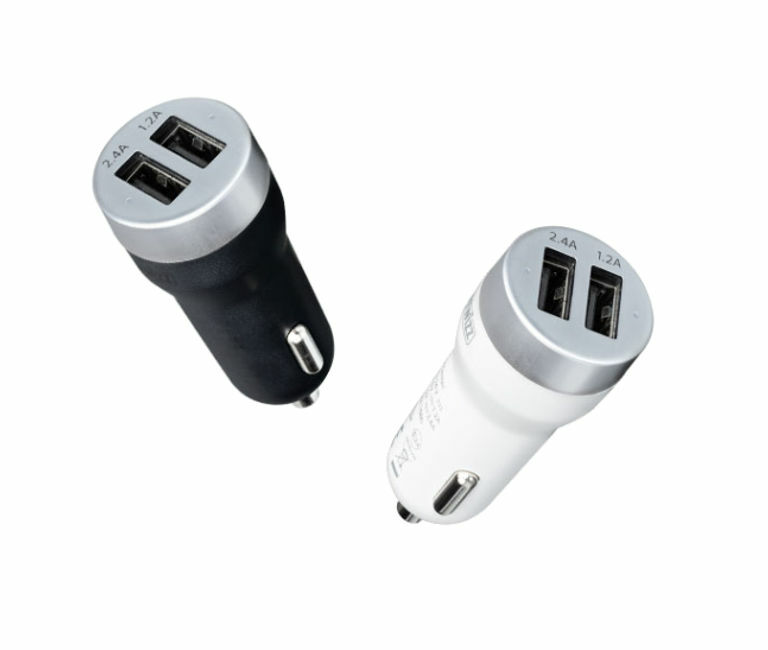 The CarPlug Double charges two USB devices with different currents. It has two USB-A connectors which saves you time and space. A connection of a car USB charger supplies 2.4 Ampere (12 Watt), the other USB connection has with 1.2 Ampere (6 Watt) the common voltage that is used to charge all well-known smartphones. 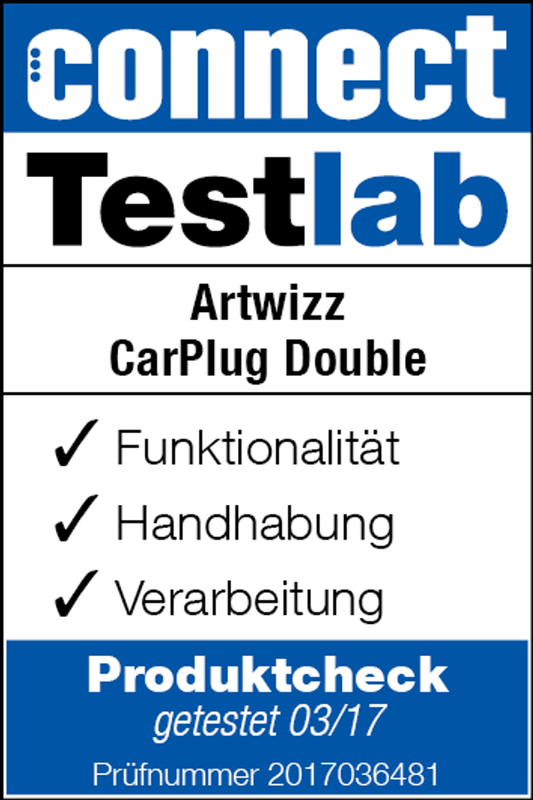 No other Artwizz CarPlug is so diverse and individual in respect to colour and design selection than the one with double connection. Select between classic dark colours or playful designs for bright interiors in the vehicle. A true designers managed to design a real masterpiece: the CarPlug Double in Rosegold. They use the so-called PVD-process. Metal is evaporated and forms a thin layer of metal on our charger. That creates an undoubtedly seductive look with our exclusive rosegold-refining. With brilliant colour quality, supple soft gloss and a resistant surface, which is hardly prone to signs of use. Product testers at connect were also massively impressed by our CarPlug Double, which fulfilled all of their testing criteria. The Connect product check certificate highlights the optimal "functionality, ease of use and quality design" of our device - the perfect match for your car's interior.